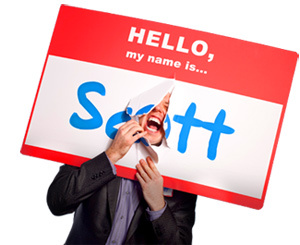 Food for Thought: First Impression Tips - HELLO, my name is Scott! A reporter from a Food Service/Hospitality Journal recently asked me about the importance of first impressions for restaurant owners. Although she posed questions I’d written about before, I never thought about the idea specifically in terms of restaurants. So, this article sums up our discussion with 5 first impression tips for anyone whose job is to wow their guests not just with great food, but with unforgettable hospitality. How important are first impressions to restaurant owners? First impressions are formed based on the primacy effect, which states that information people see or learn about you is more powerful than what is learned later. Therefore, when people initially see a small piece of you, that’s all they know about you – and the restaurant, for that matter. So I think no matter how delicious the food is, how ambient the room looks or how reasonable the prices are, if a guest walks in and some small behavior rubs him the wrong way, he may never eat there again. I can recall several times in my life when I’ve walked out of a restaurant and stated, ‘I can’t believe what just happened – I’m never coming back!’ And I never did. What do your recommend companies do to make a good first impression for guests? Have a meeting with your employees and create the following list: ‘Top Ten Reasons A Guest Would Leave Our Restaurant and Never Want To Come Back.’ Then think of solutions and ways to prevent those problems. You can even site specific incidents from past customer problems. Once the list is finished, make copies for everyone and post an abbreviated list in the kitchen, the bathroom stalls, the break rooms and the smoking area. What can result in a BAD first impression for a restaurant? How do you avoid making those mistakes? I spent several years working in food service/hospitality, and too many of my coworkers made bad first impressions because of one simple error: they forgot that the job wasn’t about them. It’s common place – mainly for a server – to be in a bad mood, stressed out or upset. (Hey, it’s part of the job!) But sometimes a server will ‘spill’ his emotions on his customers instead of sucking it up. Not cool. The bottom line about first impressions in the hospitality industry is: it doesn’t matter if you have a bad day. It only matters if the guest has a good day. Can you differentiate between the things restaurant employees should do to make a good first impression when 1) seating 2) taking phone orders/answering the phone 3) interacting with new guests at the table? When seating guests, why not take the few seconds you have while walking them to their tables to strike up a conversation? In so doing, the host may discover that there’s an anniversary or birthday to be celebrated. And wouldn’t it just MAKE THE GUESTS’ DAY if the waiter came over, who’s never seen the guests before, and said, ‘Happy 35th! My name is Jack and I’ll be taking care of you tonight.’? Anyone who answers the phone needs to know the entire menu, hours of operation and most importantly, directions on how to get to the restaurant from all parts of town. A good suggestion is to post directions on the host stand, or have an easy-to-grab reference available so hosts can avoid the ‘Let Me Find Someone Who Knows How To Get Here’ trap. How quickly are first impressions made? Ahhhhhhhhhh!! Which one is right!? There’s no need to adhere to a specific number of minutes, hours, days or milliseconds to which your words and actions must adhere in order to ‘wow’ the other person. The bottom line is this: every situation and every person is different. Only you can decide how much time you’re allotted before the guest thinks you’re fabulous! Can you apply some of your Front Porch philosophies to restaurants? The front porch is a idea that means, ‘Any object or behavior that increases approachability.’ Front porches create comfort, break the ice, engage and build rapport with customers. Here are examples of both types as they pertain to restaurants. Nametags – Sigmund Freud said that a person’s name is the single context of human memory most apt to be forgotten. 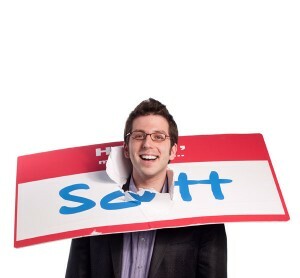 By wearing a nametag you put customers at ease because they know your name. As a result, you are more approachable to them. Macaroni Grill actually teaches its servers to write their names UPSIDE DOWN in crayon on the tables, which makes an unforgettable first impression, not to mention keeps their names in front of the guests during the meal. CPI – this stands for ‘Common Point of Interest.’ If you want employees to connect with guests, they need to get to know them. Not their entire life stories, but enough so that common ground can be established. The most effective way to discover the CPI is by asking open ended questions allowing the guests to share a little bit of who they are, i.e., What are you gentleman up to this weekend? What a great way to break the ice and engage with people! After all, a front porch is a symbol of approachability and the key to making unforgettable first impressions. The question is: are you going to build one in your restaurant? Are there any restaurants you REFUSE to go to? Why?